Join us for a weekend of fun - we have something for everyone to be a part of. It’s a thrilling experience every Father’s Day, as you join over 10,000 runners and over 30,000 spectators in a Celebration of Fitness, Family, and Fundraising, with runners young and old taking on a challenge that is special to them. And it’s even more fun if you’ve done your planning before the big day and know what you can expect that morning. 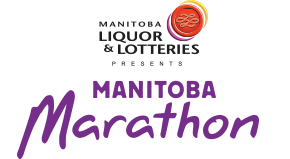 Registration for the 2019 Manitoba Marathon is open! Be in the loop: Like us on Facebook , follow us on Twitter and Instagram! You can email the link to your friends, who can support your run, with their online donations, and even get an instant charitable tax receipt! *There are no refunds or deferrals. Event changes and transfers may be done for a fee online. *If you are a student registering with the Champions in Training School Program, register below! The button below is only for families and students who are in our school program and are registering for a race day event. Online registration closes May 28th. Register in person at our office or drop your entry form off at any Running Room location in the city until the end of May.